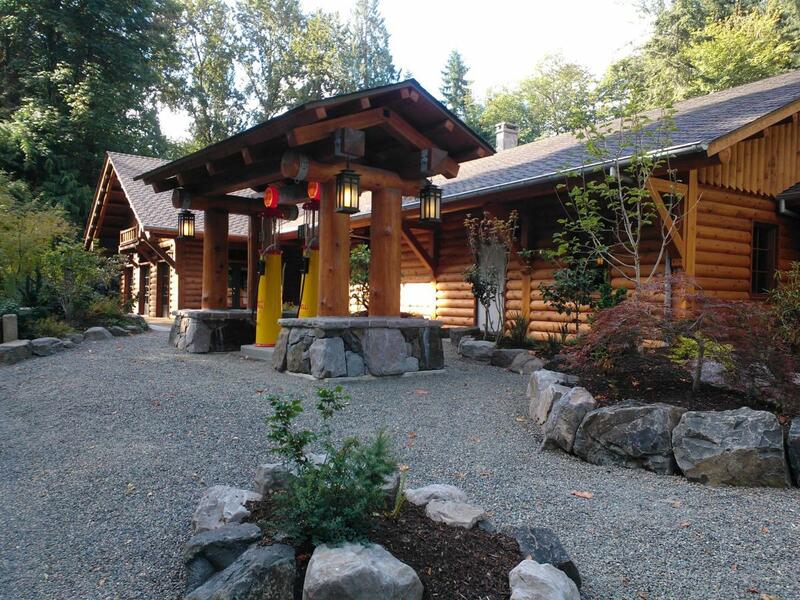 Summit Grove is tucked away on five acres of private, beautifully wooded tranquil property situated just above the Lewis River near La Center, Washington. The lodge has been meticulously renovated preserving the integrity and character of the original structure, while updating the property to offer all imaginable modern-day amenities. 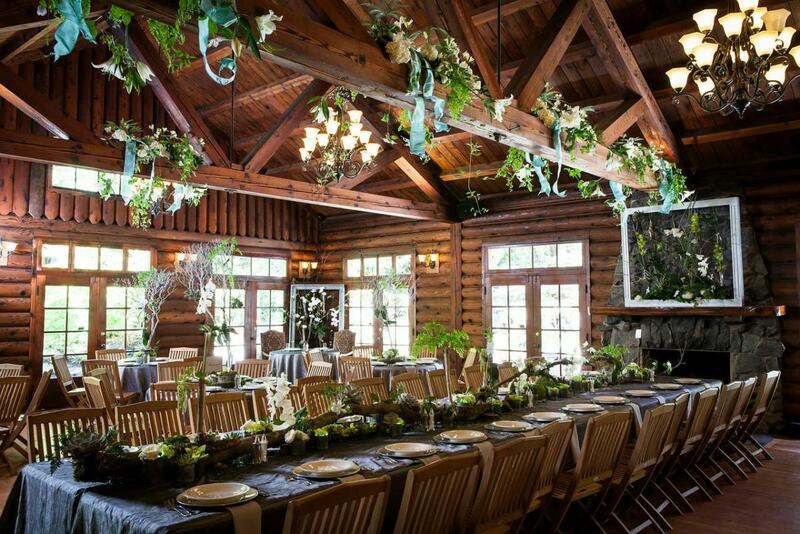 The main hall area inside the lodge is approximately 2,300 square feet. Features include the original cedar-log walls, Douglas Fir beams and flooring, a 20-foot vaulted ceiling, and majestic rock fireplace. 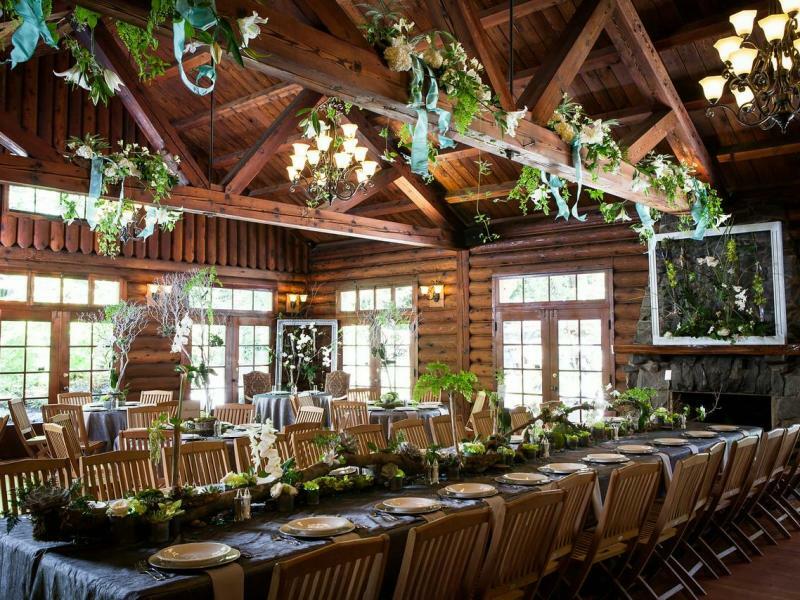 The room can accommodate a seated dinner for up to 170 or a standing reception up to 375 - 400.